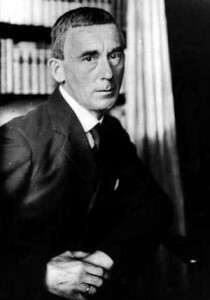 Hugo Ball, 1886 – 1927. Father of the Dada movement. Founded in 1916 at Cabaret Voltaire in Zurich by the German writer, musician philosopher and mystic Hugo Ball, the seminal art movement known as Dada, by 1922 had as its major European hubs Zurich, Paris, Barcelona, Hanover and Berlin – yet curiously no UK Dada expression was ever established, the only artist associated with the original movement to live (briefly) in the UK – Kurt Schwitters – having had his Merz artwork ridiculed and ignored by the perennially-elitist London art establishment of 1945/6; and perhaps that explains why. 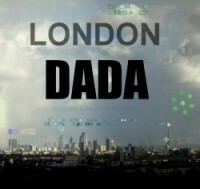 London Dada, founded by multimedia artist and writer Michael St.Mark in 2005, pioneering the online art gallery genre via 691 ( shadowed by Saatchi Online in 2006); is formally representing the historically missing link in Dada by following in the footsteps of its founder, Hugo Ball, re-invoking his original intention for the Dada movement: vitally-needed political, social and moral perception, invention, fearless criticism and moral-based protest. These gemstone artist qualities are presently sorely in need of expression within British contemporary art and in the spiritual shipwreck that is UK society today. Dada, cutting-edge scourge of the establishment and undisputed catalyst for the sea change in art that occurred during the early 20th C. is re-surfacing through its missing jigsaw piece London expression – a 21st century cyber and public art antidote for the hi-jacking, side-tracking and stifling of UK art into a tightly closed shop run by a clique of old school tie elitists who use money as a means of rigging the art market into turning massive personal profits. Heading a network of kowtowing gallery owners, they render contemporary art virtually sterile; reducing the big galleries to little more than purveyors of the the bawdy and the tawdry; selectively promoting through those evergreen guarantors of hype-to-order, the fawning careerworths of the UK arts review media – a harem of hand-picked ‘shock or bore’ cash cow artists. “ The British (establishment ) are never comfortable with artists who think” - Adrian Hamilton, arts reviewer @ The Independent. The London Dada vision beyond the present sorry arts and culture morass of conformist stagnation and stasis, is the instigation of an ‘art spring’ – a 21st C. enlightenment that re-invigorates art with critical social commentary and a new direction that eschews the anachronistic mediocrity and the worn-out cogs of contemporary art. 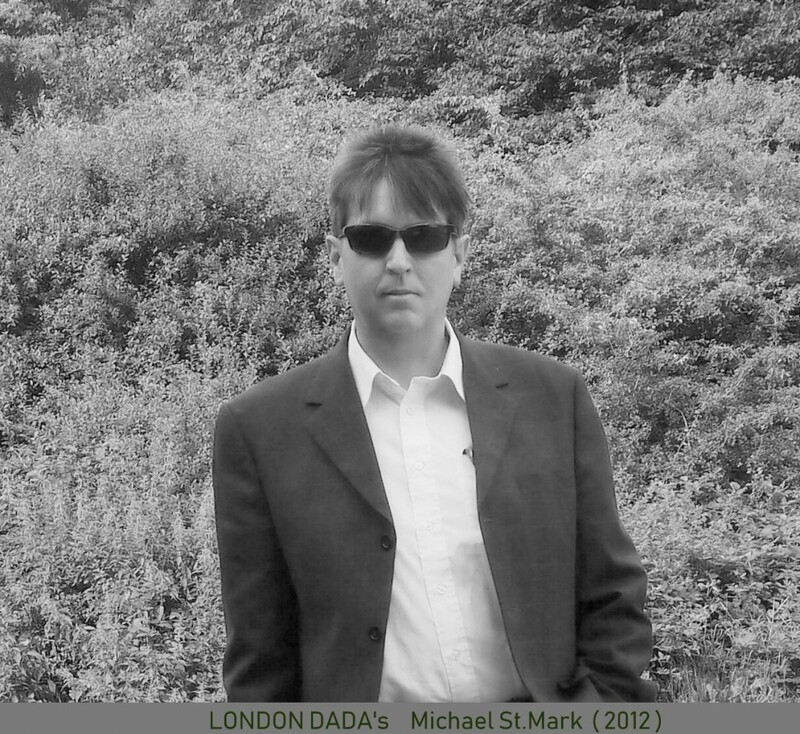 “London Dada – art with perception and protest, free of the establishment straight jacket of enforced conformity”. Conceptual/experimental multi-discipline artist, writer, photographer and percussionist. Graduate in Art & Graphic Design at University of the Arts, London. Creative consultant & founder of London Dada under the guidance of Hugo Ball’s original principles. In the tradition of Marcel Duchamp in refusing to accept the standards and practices of an established art system, conventions that are still considered essential to attain fame and financial success: refusing to repeat himself, to develop one recognizable style or to show his work regularly at the large commercial galleries. From the mid-late 20th C. onwards, photography has come to be recognized as an art form for its ability to communicate the photographer’s unique point of view and elicit profound emotional and other reactions from viewers. For this reason I prefer to use photography as the instant and eminently efficient contemporary means for eliciting and conveying true perception and criticism of our times in art – Hugo Ball’s very definition of Dada. ” The true artist and Dadaist is a rare astronaut of inner space and perception who eschews the commonly established norms and trends of his times in order to explore hidden worlds and his/her art works portals of launch, being means through which the viewer may uncover within himself visions and realizations pertaining to the creation of a societal order of a new humanity based on fairness, altruism and enlightenment.